Stones of the Yarra Valley is located on one of the most picturesque properties in the region & has emerged as a premiere food & wine destination. with a stunning rough-rendered Chapel and Dairy nestled under century-old oak trees. With floor-to-ceiling views over 200 acres of vineyards to the Great Dividing Range, The Barn at Stones is one of the Yarra Valley’s most popular destinations for relaxed weekend lunches and stunning private events. Presenting a regional Tasting Menu for dinner and a Shared Plates menu for lunch, The Stables at Stones offers a refined & intimate dining experience inspired by fresh, seasonal and local produce. From the family who brought you Stones of the Yarra Valley and The Stables at Stones comes Meletos, a regional café, intimate private and corporate events space, providore and 23-room boutique accommodation. Located in Healesville’s most exciting new precinct, No.7 Healesville encompasses an Urban Winery, Tapas Bar and event space dedicated to fostering the next generation of Australian winemakers. Whether it’s a romantic weekend away, a milestone celebration with friends or a group retreat, we offer a stunning selection of dining experiences paired with luxury accommodation at The Farmhouse at Meletos . With its beautifully restored 1860's Barn, Stables, Dairy & Chapel surrounded by vineyards, century-old oaks trees and blue-tinged mountains, a wedding at Stones of the Yarra Valley is a truly unforgettable experience. A gift voucher is the perfect choice for a birthday or anniversary gift, or a special surprise to treat your family and friends. Surrounded by century-old oaks trees, vineyards and blue-tinged mountains beyond, from every angle you stand there is something beautiful to take in at Stones of the Yarra Valley. From product launches and conferences to film shoots and gala dinners, Stones of the Yarra Valley and Meletos combines three superb venues with a luxury hotel to provide the perfect destination for your next corporate event. Meet the people behind the product. 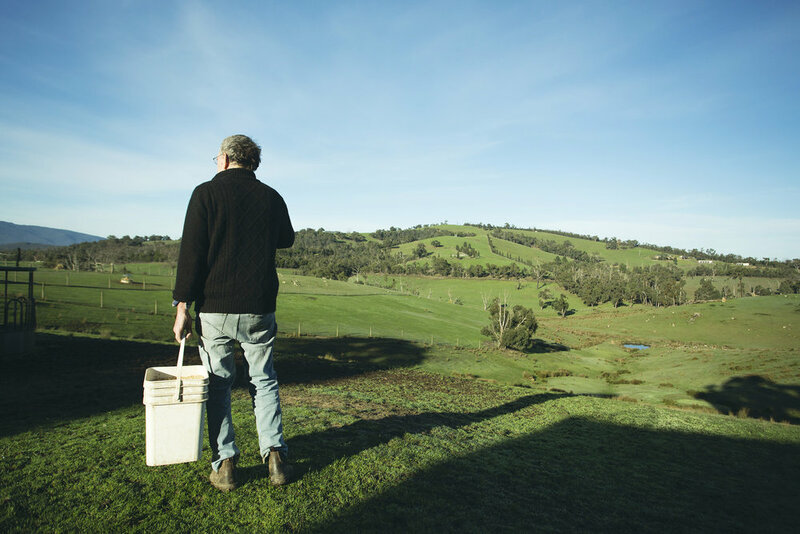 Celebrating the farmers, growers, makers and doers that supply beautiful, sustainable produce to Stones of the Yarra Valley, The Stables at Stones and Meletos. We’re thrilled to launch an exciting calendar of special events and classes which will commence in May 2019. With life drawing classes on a Monday Night, Salsa dancing every Thursday night and a killer line-up of live music on Friday evenings to wrap up the week. This eclectic program is designed to create a social space for lovers of art, music and dance to come together in an inclusive environment and explore new interests! What better way to celebrate Mother’s Day than within the beautiful surrounds of Stones of the Yarra Valley. 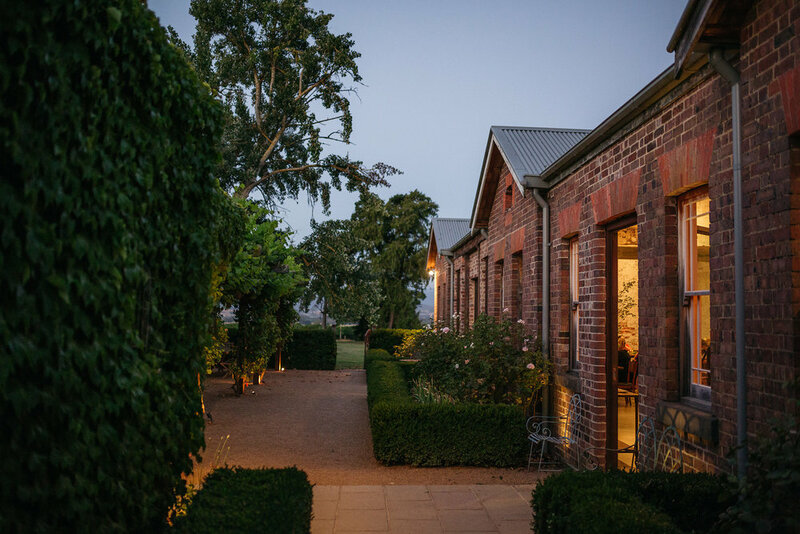 With views across 200 acres of vines to the Great Dividing Range, The Barn is Stones of the Yarra Valley's superb main dining room. We are delighted to introduce our newly created coterie that we have developed in support of the thousands of patrons that have enjoyed our journey over the past 12 years. Enjoy exclusive member benefits and be at the heart of what's happening across our busy precinct, as well as our new urban winery project- No.7 Healesville. Enjoy exclusive member benefits and be at the heart of what's happening across our precinct.